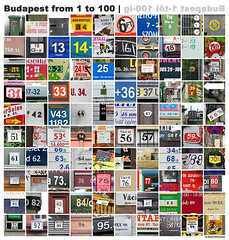 Collected over a three day period during a recent stay in Hungary, my hunger for collecting numbers was triggered by Piet Musterd’s photoset on Flickr, though the idea has been around for a while. 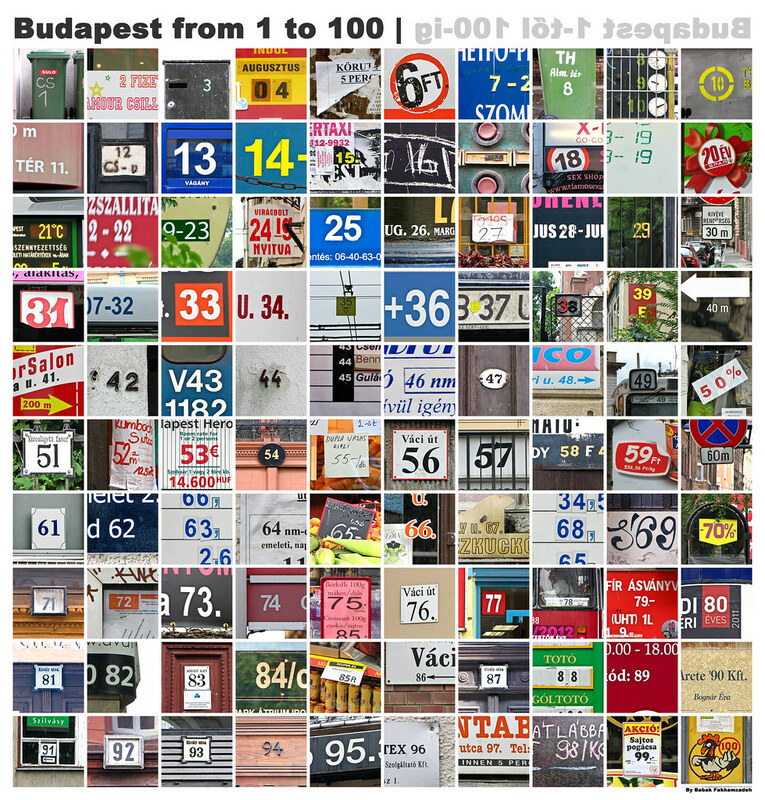 However, seeing his work shortly before spending a week in the Hungarian capital, working on this would be an excellent way to spend some time while being forced to look at Budapest in a completely different way. The photos were collected over a, rather tiring, three day period, where finding representations of the larger numbers was particularly difficult. You can deduce this from the rather high frequency of house numbers amongst the numbers higher than 50. If there’s enough interest, I could make this image available as a print. The original file’s resolution has 16 times as many pixels as the one uploaded to Flickr and can easily be printed on a full square meter without pixelation occurring. I’m contemplating doing the same for my current city, Freetown, though, if anything, the upload time of this image of 2 hours is a bit inhibiting.